Spa day here here and with it comes new possibilities......... for the meshes that is. I loved the cropped yoga pants, but I was not a fan of the design. So a little snip here, little snapping there and voila! 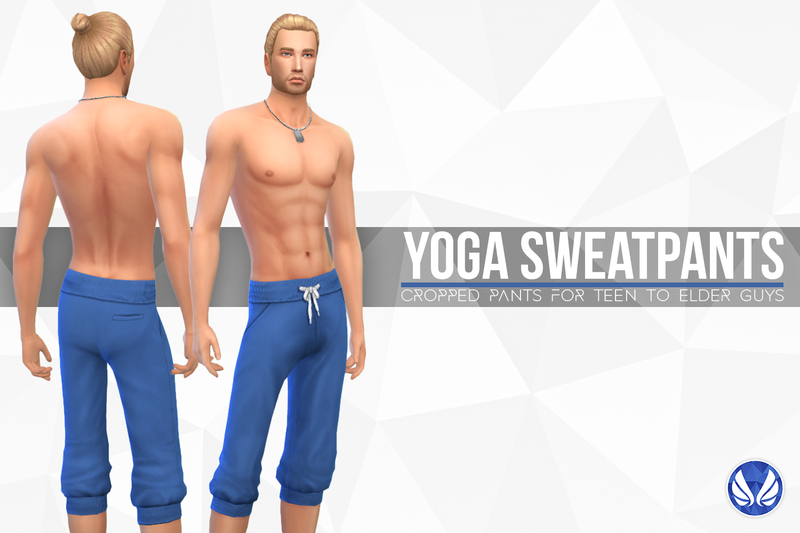 cropped pants in my sweatpants style. These are the same colour choices as my slim cuffed sweatpants because I love them. Hope you enjoy them as much as me. You always have the best looking male Sims. I don't know if you're into dudes, but you have exceptional taste either way. You make such great stuff - thank you so much! If your game is not updated, they will not show up. So try updating if you can. Is that man bun hairstyle something you made? Is it available for download?